In just a few weeks, The Beryl Institute will reach its eighth anniversary as a membership community and a growing global community of practice. On our journey we have been dedicated to building a network of committed professionals, practitioners, innovators, patients and family members and partners. That network, through its commitment to sharing wildly, has helped shape a framework for what represents the human experience in healthcare and clarify eight strategic lenses through which organizations can engage all voices in ensuing the best in experience for all. This growing body of knowledge and collective understanding established through research and experience and the content it has produced called for a means to better codify, digest and access the information that will support everyone on this shared experience journey. The idea was a simple one, to establish a framework through which we could individually, organizationally and collectively understand where we are, identify the opportunities we have and then connect to the resources and solutions that will help us continue on the road to experience excellence. Through conversations with a broad range of community members over the last year, this idea evolved from an experience landscape that could be used to define the work, to an experience framework, represented by an integrated set of lenses that influence experience. It offers an actionable means to engage deeper in experience improvement and excellence. 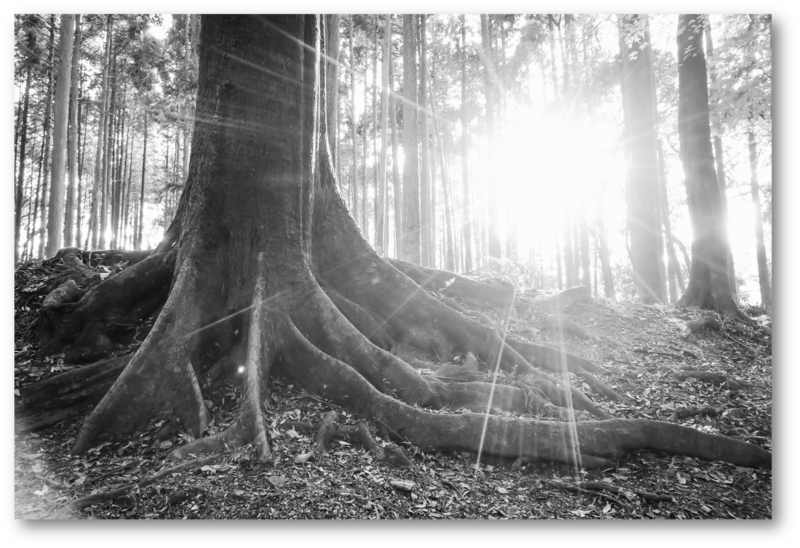 An experience framework helps us in three critical ways. The first, it provides clarity in the strategic areas of focus – the strategic lenses – through which any experience endeavor should be framed. 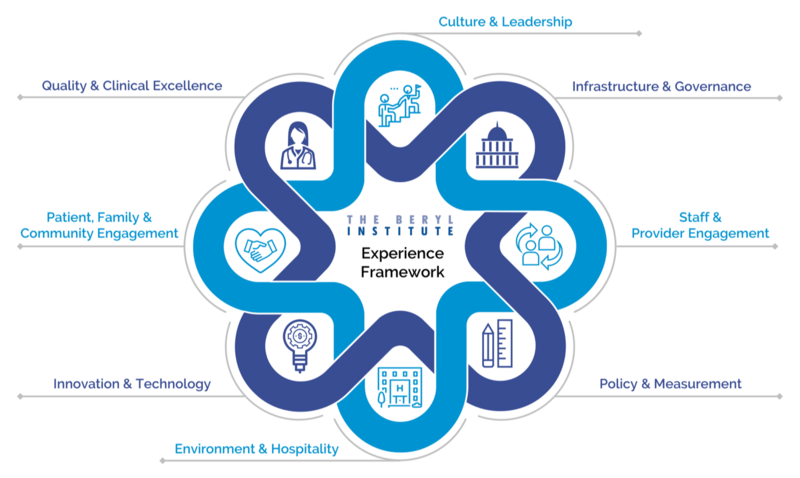 If we ascribe to the view of experience as the integration of all we do from quality, safety and service to the range of factors that influence the healthcare experience, then a means to identify these ideas and a structure to frame them helps us in expanding our strategic view of experience and leads to more comprehensive action overall. The second, it provides a means to identify where you are excelling or may have opportunities to address. By engaging in experience efforts through a set of strategic lenses you can both understand the areas in which action has led to outcomes and identify areas in which further work is needed. This framing also helps, as noted above, in ensuring a comprehensive set of actions focused on the experience effort overall. The third reflects a practical application of the framework, as it offers a means by which knowledge, resources and solutions can be aligned. You will see that all content now available via The Beryl Institute aligns with one or more of the eight lenses (and is searchable based on these lenses as well). You will also find our events, such as Patient Experience Conference, will evolve into active learning programs centered around these lenses and we will be working with our vendor partners to align their solutions to the lenses they address as well. We invite and encourage others to consider this framework as a means to identify and align content and knowledge and share broadly as a result. Through this common framework we can create more efficient connection of needs to knowledge, strategies to resources and opportunities to solutions and expand our collective global dialogue through a common structure for focus and action. With that recognized opportunity and an understanding of the roots and motivation for this endeavor I’d like to introduce you to the eight strategic lenses of the experience framework. In framing this introduction, it is important to stress that through the community input that shaped the framework we underline that all voices are critical and matter in the experience conversation. In addition, this framework reaches well beyond the clinical experience of patients to the full extent of the human experience in healthcare. The framework as such represents the range of perspectives and honors the breadth of those perspectives in its considerations while having some intentionality in helping to align and support the broader strategic and operational items that impact experience endeavors. It also recognizes that no two individual experiences can or will ever be the same and so this is not intended as a one size fits all solution, but rather as introduced, it is a strategic framework to enable that level of individualization to be even more effective. In having a means to align efforts at a macro level, we are well served to drive specific efforts and address specific needs to the level we must in any effective healthcare endeavor. Culture & Leadership: The foundation of any successful experience effort is set on who an organization is, its purpose and values, and how it is led. Infrastructure & Governance: Effective experience efforts require both the right structures and processes by which to operate and communicate and the formal guidance in place to ensure sustained strategic focus. Patient, Family & Community Engagement: Central to any experience effort are the voices of, contributions from and partnerships with those receiving care and the community served. Staff & Provider Engagement: Caring for those delivering and supporting the delivery of care and reaffirming a connection to meaning and purpose is fundamental to the successful realization of a positive experience. Environment & Hospitality: The space in which a healthcare experience is delivered and the practices implemented to ensure a positive, comfortable and compassionate encounter must be part of every effort. Innovation & Technology: As a focus on experience expands, it requires new ways of thinking and doing and the technologies and tools to ensure efficiencies, expand capacities and extend boundaries of care. Policy & Measurement: Experience is driven and influenced by external factors and systemic and financial realities and requires accepted and understood metrics to effectively measure outcomes and drive action. Quality & Clinical Excellence: Experience encompasses all an individual encounters and the expectations they have for safe, quality, reliable, and effective care focused on positively impacting health and well-being. With the introduction of the experience framework, I want to reinforce the active nature of this work. We already have research efforts underway to further validate the framework and its application in certain care settings as well as will soon be releasing a report and follow-up research on influence factors of experience related to the strategic lenses. The release of this framework is not simply a call for action and a hope for a response, but rather this is a move to action in itself. When we align as a community around what is fundamental to experience success and support one another in both what is needed to succeed and in helping others to understand what this work truly encompasses, then we can truly call ourselves a movement. The experience journey we have been on as a community has led us to this point where we can stand together in providing a formal frame to understand our opportunities and guide our actions. It is now up to each of us to determine how we will apply these ideas to support our own efforts, to positively impact those we care for and the communities we serve and how we can all continue to contribute to this global conversation on experience that is fundamentally changing healthcare for the better. Thank you to you all for your partnership and collaboration on this journey.